Doing laundry is one of the tiring house chores for me, from the time I am sorting the clothes, rinse, load it in the washing machine up until I hang them. But sometimes it keeps me going because my husband supports me and sometimes join me to finish the laundry. Recently I learned an easy way to make my life more quality to live for. Samsung recently launch three of the best and innovative washing machines for me as well as for responsible wife like me and mothers out there. Choosing washing machine could mean many things for the family. While basic washing machines can perform expected cleaning functions, new technological innovations now allow for more effective, efficient, flexible and convenient laundry cleaning options. Recognizing that modern homes have varied cleaning needs and would benefit from smart washing solutions, Samsung has introduced an array of washing machines that can cater to every household’s laundry requirement, as well as lessen the hassle of multitasking moms. 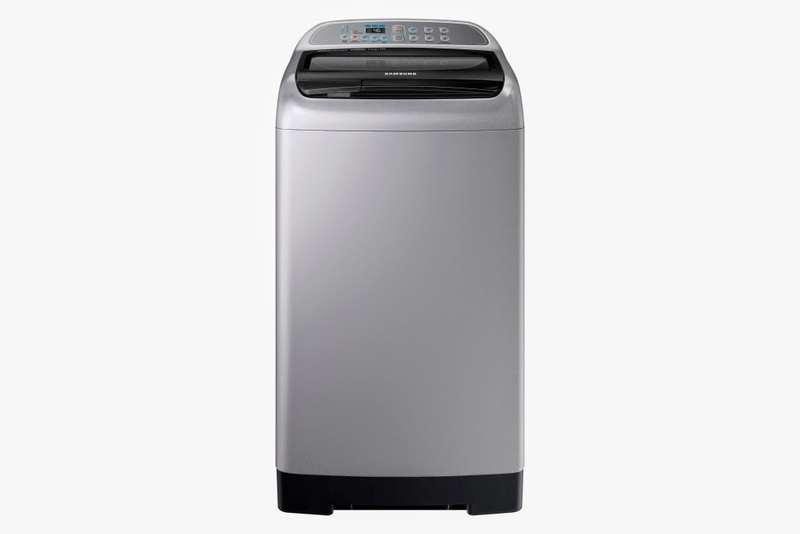 For those moms who are tired of dealing with stained garments, the Samsung Fully Automatic WW5000 Front Load Washer answers their need. It offers powerful cleaning capabilities while still remaining gentle on clothes. 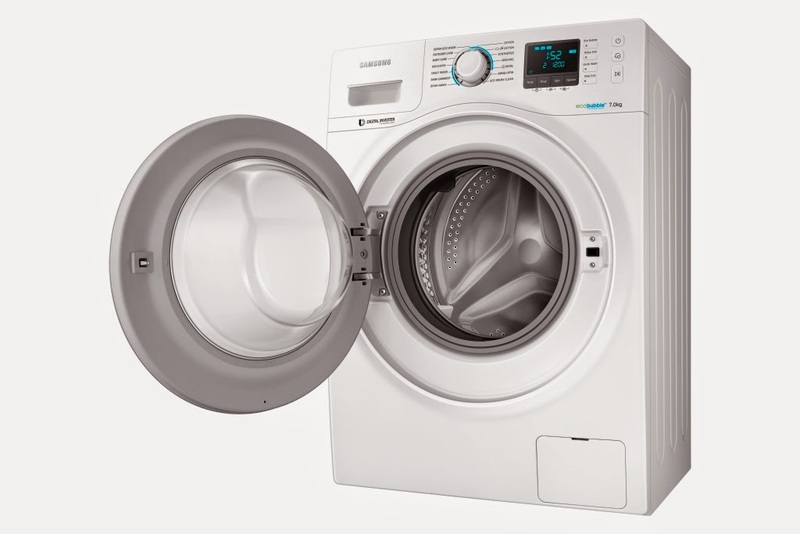 The Samsung Fully Automatic WW5000 Front Load Washer features two innovative technologies that provide the best-in-class laundry experience – EcoBubble Technology and Stain Away Program. Samsung EcoBubble Technology allows for the even distribution of detergent and deeply penetrates the fabric faster than highly concentrated liquid detergent. This allows clothes to be washed in cold water, significantly reducing energy consumption. By completely dissolving the detergent, it allows for easier rinsing and minimizes detergent residue and stains. EcoBubble promises no loss of wash performance and allows laundry to be done faster and more efficiently, giving mom extra time to do other chores or spend time for herself. Stain Away, on the other hand, is a pre-programmed cycle with settings that help remove common household stains that moms usually have a difficult time cleaning, such as cocoa, blood, tea, wine, coffee, make-up and grass. Working together with EcoBubble Technology, stains can be cleaned effectively in one simple cycle with the special bubble soaking stage. Frothy bubbles penetrate deep into the fabric fibers to loosen dirt and stains. First is the Samsung Fully Automatic Top Load WA16F759, which features Wobble technology. Wobble technology protects delicate fabrics from friction damage without compromising washing performance. The Wobble pulastor’s unique structure generates a dynamic, multi-directional washing flow to prevent tangles, twists and knots while thoroughly cleaning clothes. The WA16F759’s Digital Inverter technology ensures durability and saves on energy as well. It’s large capacity 16kg. also allows moms to save laundry time. 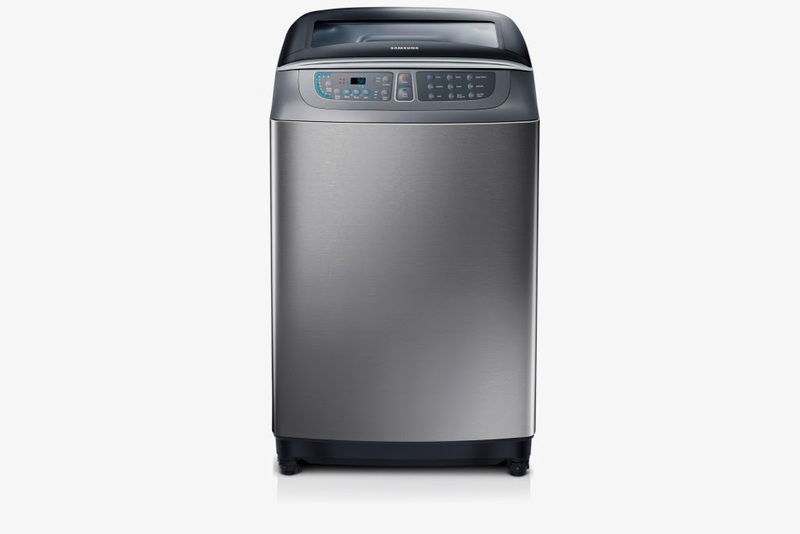 For moms who pre-wash heavily soiled clothes, the Samsung Fully Automatic Top Load WA4000HH is a smart choice. This all-in-one washing machine features practical innovations such as the ActivDualWash, on top of Wobble Technology, that allows laundry to be done with less time, efforts and worry. The ActivDualWash feature equips the machine with a wash sink with a built-in side water jet. The wash sink provides a convenient and dedicated space to hand-wash delicate items and pre-wash heavily soiled clothes before regular wash. The built-in side water can be started and stopped with a simple press of a button for maximum convenience. Since the household budget is a universal concern among Filipinos, most of Samsung’s Fully Automatic Washing Machines is equipped with Digital Inverter Technology. The Digital Inverter Motor has minimal moving parts, making it breakdown resistant. Magnet utilization makes it more efficient, increasing energy saving and guaranteeing durability. An 11-year warranty also ensures long-lasting washing machines with fewer chances of malfunctions. For moms looking for an alternative to regular hand washing, Samsung’s Twin Tub offers a more convenient solution. It allows users to hand wash and pre wash clothes in one machine, as it features a dedicated wash tray on the machine itself. Its body is made of non-corrosive, rust proof plastic, keeping it in tip-top condition despite being exposed to the elements outside of the home, where most machines in the Philippines are kept. An Air-Turbo Spin-Drying system also helps reduce drying time by rotating the drum at high-speed, drawing in more air so clothes dry faster, even in humid climates. These features on these smart washing machines will definitely benefit all the mothers who want to have the cleanest clothes for their families, minus the hassles and added expenses. So for all laundry needs, Samsung has got it all covered. Samsung Digital Appliances, Your partner in building a happier home.